When app developers build an app they commonly focus only on creating a great app. There’s nothing wrong with this approach, but they forget about one important thing, i.e., app marketing. There are only a handful of apps that are based on a million-dollar-idea to drive app downloads by itself. This is why app marketing is so important for new apps in particular. The competition is fierce, whether it’s the App Store or Play Store. Being unique is very tough with over 4.6 million apps in the market. This article will help new app marketers and even app developers with marketing their products from the very beginning. So in the following, there are four actions listed for you to take before and while you publish your mobile app, to ensure that you have a good start with your app downloads. Who is your app for? How can they benefit from your app? Most developers may think they know their target audience but without proper market research it’s very hard to tell if the app marketing is on the right track or not. The more precise you make investigations, the better you will target your audience for stronger results. After you have identified your target audience, there comes competitor research. Find out some of the best and worst competitors of your app. See who are the people that are using their app. Find what is and what is not working out for them. Every successful app must have a feature, that distinguishes it from its competitors. That allows them to stay in the game. Make sure you extensively promote your apps USP to the right audience. This is what your app marketing plan should rest upon. Other blogs (reviews and mentions) – Guest posts, top lists and listings. Social Media – Facebook, Twitter, LinkedIn etc. Organic search – play store, app store search etc. All points above have one special thing in common: People will go to your app page where they’ll find the description, screenshots, title, icon, ratings and reviews etc. This is where you have to especially focus on optimizing your app page assets to increase the CTR / download rate. Hence, your app page is of utmost importance and needs to be optimized. App Store Optimization is a must to make sure you’re not only seen in the app store through search or category ranking, but also to increase click through rate and downloads as well. App Store Optimization is the most effective way to improve app downloads. There are two ways you can optimize your app page to increase visibility (click rate) on the one hand and downloads (conversion rate) on the other hand. Keyword-Optimization: Optimize your app title, keyword field and app description to increase your ranking in search results and increase traffic on your app page! 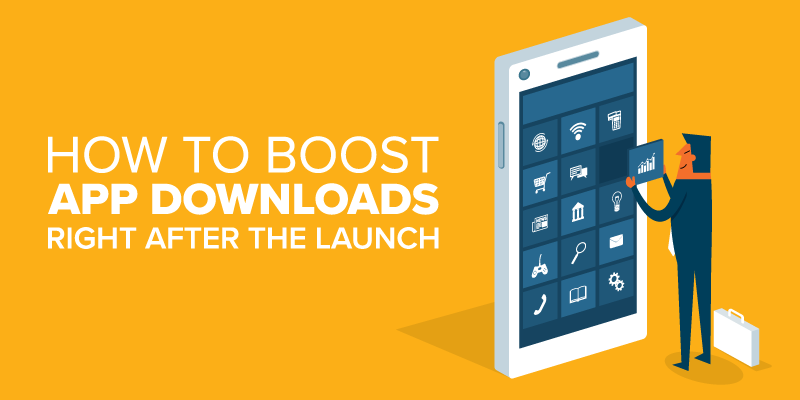 Asset-Optimization: Make sure you optimize your app screenshots, icon, feature graphic or promotion video from the very start to keep download and conversion high! The power of great design should never be underestimated. You have great features in your app but no one wants to use it because it looks bad? This is where the Design part plays a vital role. There’s a human interface guideline for both, iOS and android. If you do not follow these guidelines, your app will be rejected by the app stores. Hence, having a great app interface is not only important but necessary. Furthermore, you should use your design skills to boost downloads. One of the essential download-boosting factors on the app page are screenshots. People should understand your app through your screenshots. These are a great tool to convince potential users to download, as most people will take their final decision based on the screenshots of your app. If the screenshots aren’t compelling enough, people won’t take the next step of downloading. A great preview video is equally important. Especially for games, use app preview or promotion videos to give insights into gameplay, available characters and to make people want to explore the app. Use the right size, best designs and length to design your app’s screenshots and videos. As a mobile app owner, you have to improve your app’s presence not only in the app store but online es well. Improve your web visibility and hype your app launch. Make sure your target audience knows about it. One of the easiest ways to get in touch with your target group is by creating social media profiles. 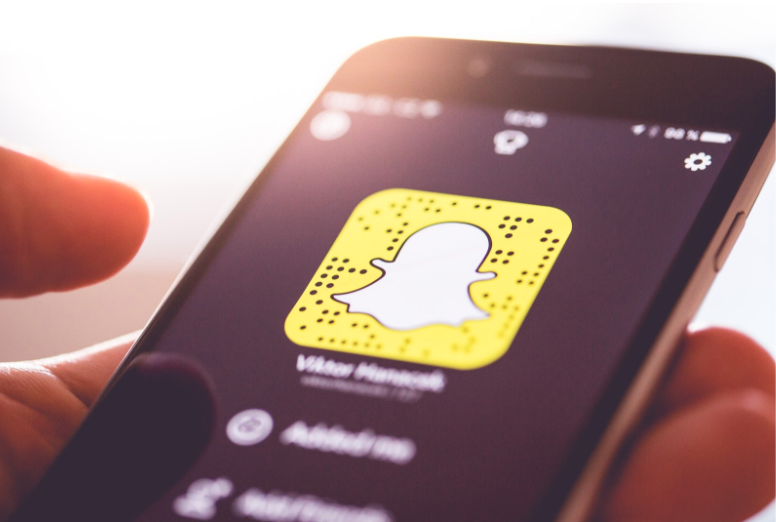 Choose the social media platforms where your target audience hangs out and that fits with the type of content, your app deals with. Facebook, Twitter, Instagram, Pinterest etc allows you to interact with your target audience directly. But you don’t need to create profiles on every major network. It’s better to concentrate on those where you can get the most engagement. Find out which one works the best and try to increase your customer audience. Share great content daily, but keep in mind to not share promotional content only. You should maintain a ratio between promotional and other content from different sites. It builds authority, trust and engagement with your social media profile. The very essential goal of this is to build a loyal and engaging community for your app. 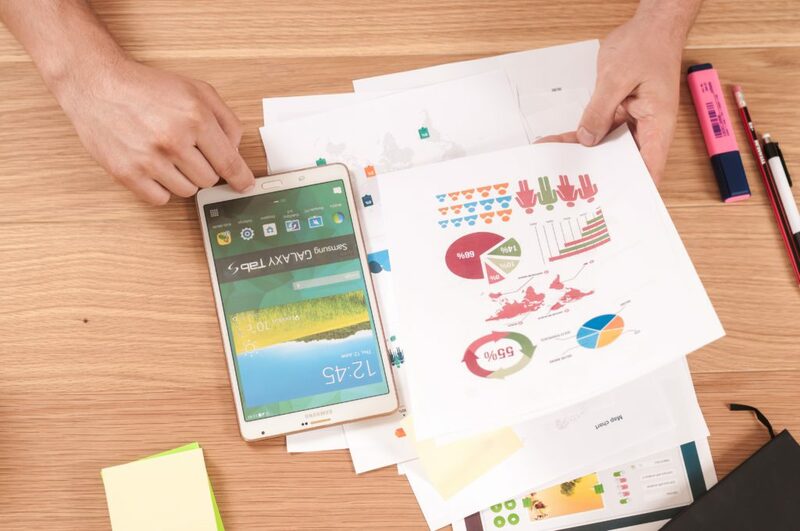 To sum up, market research, social engagement, great design and boosting app page traffic are the four fundamental pillars of every great app marketing strategy. Apart from those 4 points, many other things play a significant role in great app marketing like influencers, ambassadors, budget, quality of the app, competition etc. But those are essential to start your app marketing on the right track. Thomas Kriebernegg is the CEO at App Radar, an App Store Optimization Tool, to help app developers understand and improve their app store ranking. He has not only a passion for apps but is a Growth Hacking enthusiast.